Annie and Henry spot a hummingbird in the garden in this Level 2 Ready-to-Read by the Theodor Seuss Geisel Award–winning creators of Henry and Mudge. Annie and her bunny, Snowball, like to grow flowers in Annies backyard. Annie also loves to play outside with her cousin and best friend, Henry, and his big dog, Mudge. One day Annie and Henry are excited to see a hummingbird in Annies yard. Can Annie and Henry figure out a way to get more hummingbirds to come to Annies garden? 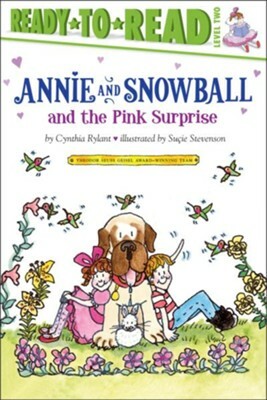 I'm the author/artist and I want to review Annie and Snowball and the Pink Surprise.